The Golden Globes has come and gone but not without some beautiful moments. TV personality legend and philanthrophist, Oprah Winfrey became the first black woman to receive the Cecil B. DeMille Lifetime Achievement Awards. 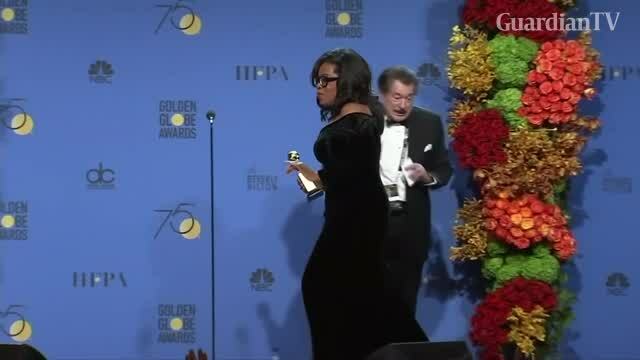 Oprah who was also clad in black to support the protest against sexual harassment and predators gave an inspiring speech and this went on to become the unofficial highlight of the night. In 1982, Sidney received the Cecil B. DeMille award right here at the Golden Globes and it is not lost on me that at this moment, there are some little girls watching as I become the first black woman to be given this same award. It is an honour — it is an honour and it is a privilege to share the evening with all of them and also with the incredible men and women who have inspired me, who challenged me, who sustained me and made my journey to this stage possible. Dennis Swanson who took a chance on me for “A.M. Chicago.” Quincy Jones who saw me on that show and said to Steven Spielberg, “Yes, she is Sophia in ‘The Color Purple. '” Gayle who has been the definition of what a friend is, and Stedman who has been my rock — just a few to name.